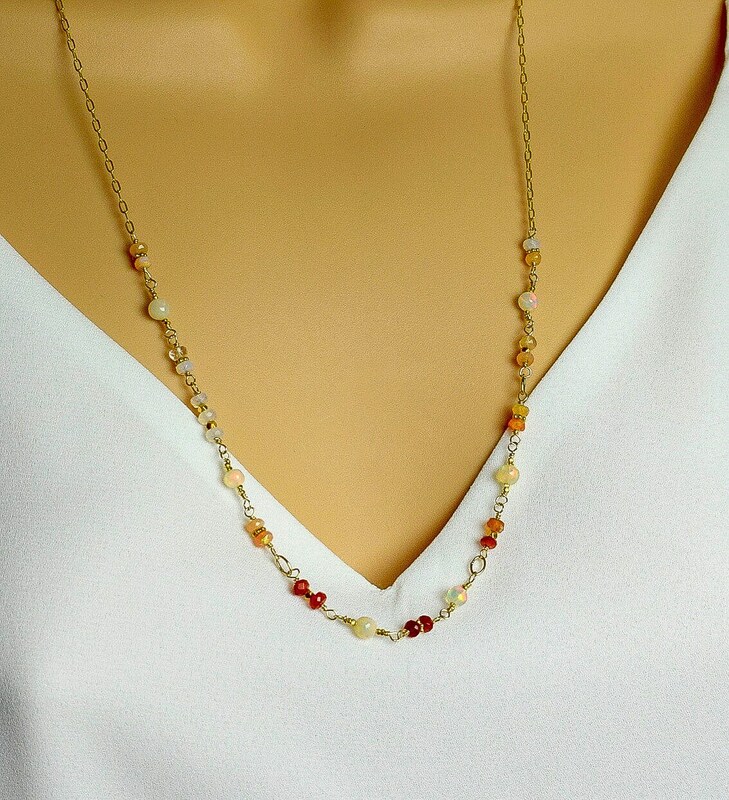 This long Opal necklace is designed with high quality, fiery Opals that are wire wrapped together in 14k gold filled wire and paired with a drawn cable chain. 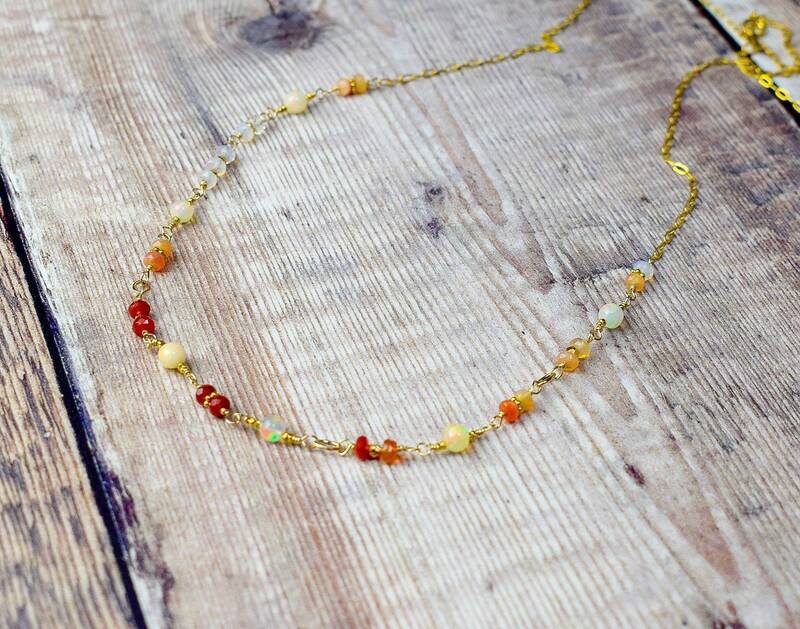 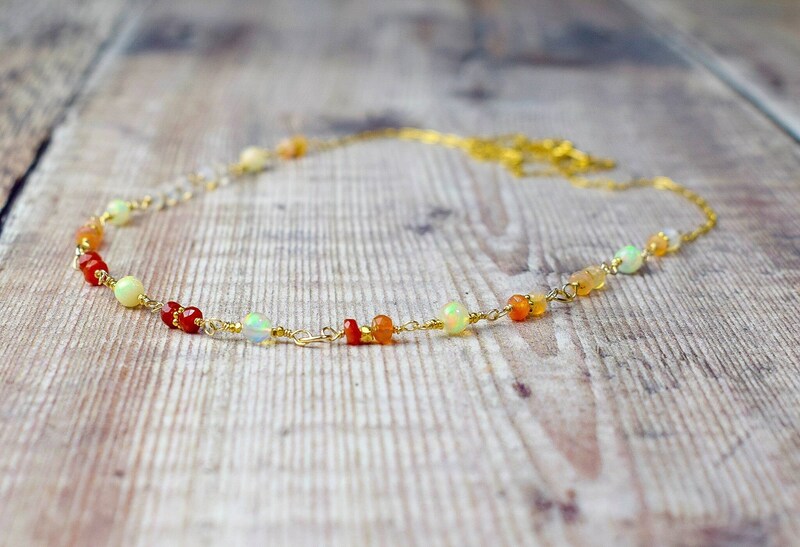 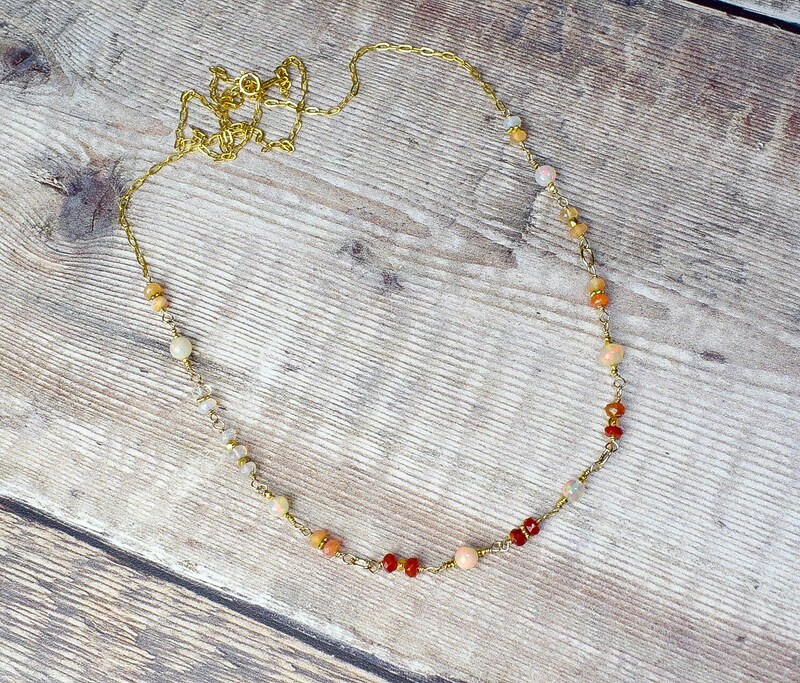 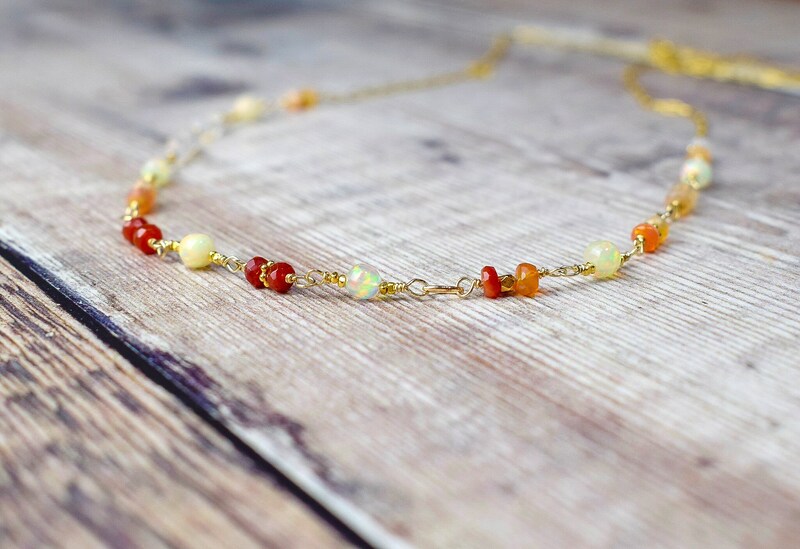 The necklace features round Ethiopian Fire Opal balls that have wonderful fire and flashes in all the colours of the rainbow and Mexican Fire Opals in vibrant shades of red, bright orange, pale orange and white and between these beads sits small golden nuggets and golden daisy spacers. 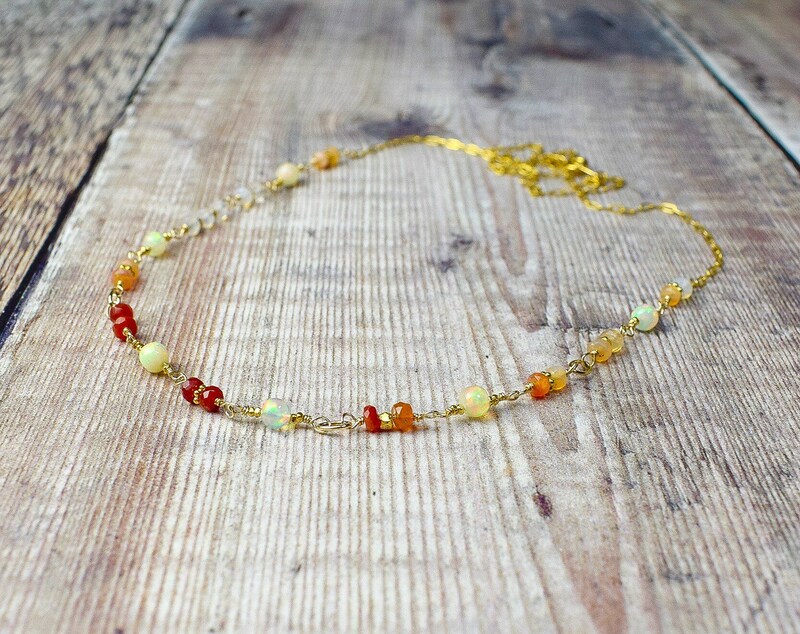 We post Monday to Friday and will send your jewellery securely packaged and in a branded gift box.